It has become routine to read customer reviews and ratings before making a dinner reservation, booking a hotel or downloading a movie. Restaurant owners, hoteliers and Airbnb hosts know only too well the impact these reviews have on their reputation and business. Recognising that this trend will likewise disrupt the real estate industry, Singapore-based real estate agency OrangeTee became the first mover in launching a proprietary platform, Property Agents Review (PAR), in February 2016 to enable customers to rate and review its property agents. Just how these ratings and reviews affect an agent’s performance, in terms of sales commissions and transaction volume, were measured over time by professors Ong Seow Eng, Calvin Chua and Davin Wang from National University of Singapore’s Department of Real Estate, School of Design and Environment. 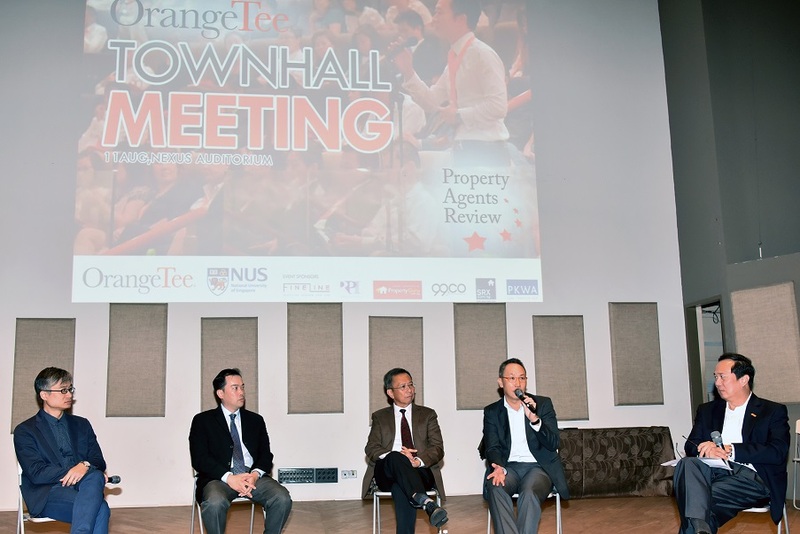 They presented their findings at OrangeTee’s town hall meeting on Aug 11. Out of 2,364 OrangeTee real estate agents last year, 400 were early adopters of the PAR system. The NUS researchers compiled their commissions and transaction data for the six-month period before they adopted the PAR system in March 2016, and compared it with that for the following six months, as well as data for the subsequent six months to March this year. The aim was to gauge the impact reviews and ratings had on agents’ performance pre- and post-adoption of PAR. The 400 early adopters received a total of 1,600 ratings and reviews between last March and September. Of the remaining 1,964 agents, a control group of 497 were selected as a basis for comparison. The performance of the control group was also tracked over the same six-month periods. The NUS findings showed that the adopters saw an increase of $4,434 in commissions during the first period (March to September 2016) compared with the second (September 2016 to March 2017), while the control group saw an increase of just $770 over the same period. Meanwhile, commissions for rental transactions increased by $1,349 over the six-month period for the adopters, while the control group saw a drop of $788.